Depend have quite a few collections coming out this fall, I’ve already showed you the Holo Fantasy collection and now it’s time for their 7day collection called Force of nature. I got eight polishes to review (out of 14 polishes) from this collection. Mother nature is a light brown creme polish that covers in two coats. Wild berries is a berry toned purple creme polish that covers in two coats. I love this shade!! Silent forest is a dusty green creme polish that covers in two coats. Falling leaves is a rusty red crelly that covers in three coats. Nature’s lullaby is a gold, copper and black glitter polish in a clear base that covers in three coats. The polish in my bottle was almost all dried up, the bottle neck was really messy, so I think that’s why. I tried to save it by pouring a LOT of Seche restore into the bottle and mix it together. It worked but the formulas is not good. Reflecting pond is a blue metallic polish that covers in two coats. Secret wildfire is a dark vampy red metallic polish that covers in two coats. Wild & free is a red metallic polish that covers in two coats. 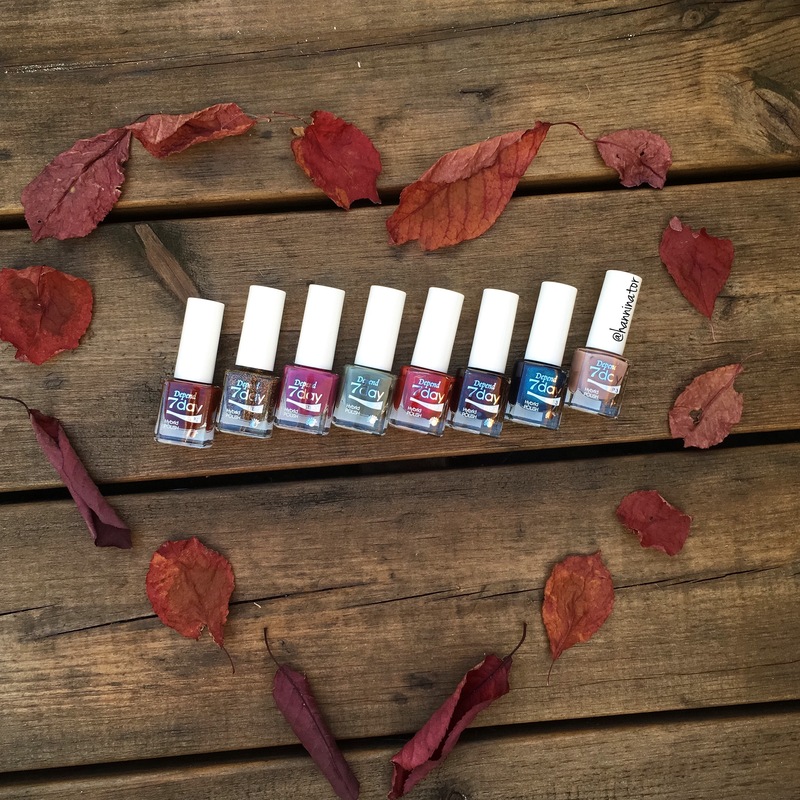 The polishes are available from week 35 and retail for 39 kr.